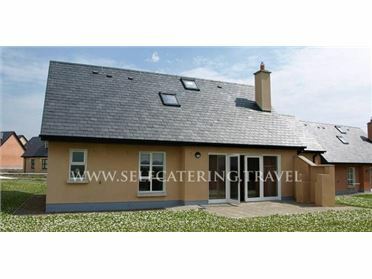 This cottage is well designed and decorated and really has all of the best of comforts. Wooden flooring throughout the house. Three spacious bedrooms with one double, one twin and one double ensuite. Cosy sitting room with open fire, Tv, dvd and comfortable sofas. The kitchen is spacious with a large table and chairs. Well designed it has an electric cooker and hob, microwave, fridge,freezer, stereo, iron. The washing machine and dryer are located in the outbuilding at the back of the property. Bathroom with bath, sink, toilet and shower..